The severity of the California drought is only increasing. The fact that water use statewide was down about 6% in August shows that residents are cutting back, but it isn’t enough. We’re made a list of 35 easy tips for saving water around the house, hoping that there are a few you haven’t yet considered. 1. Shower in under 5 minutes: Use a timer if you need to. It’s estimated that this alone can save up to 1000 gallons per month if you’re used to taking longer showers. 2. Collect water while you wait to shower: Put a bucket under the shower head to collect the colder water that needs to run before it’s hot enough for you to step in. 3. Brush smartly: Turn off the water when you brush your teeth. 4. Shampoo smartly: The same goes for shampooing hair and even shaving in the shower… turn off the water. 5. Shave smartly: This one is for the guys. Apparently, running water over a razor can waste up to 300 gallons a month. Instead, plug the sink with a little water and rinse your razor in that. Or, use a glass of water. 6. 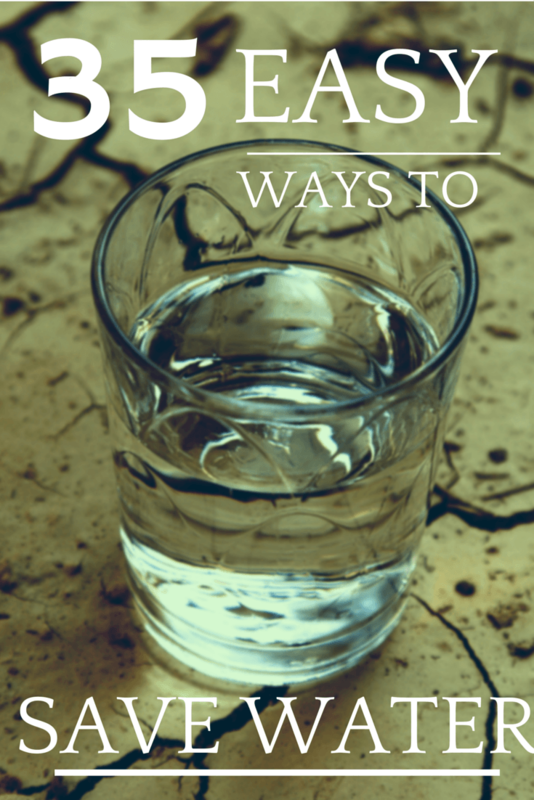 Drink well: Get your daily intake of water from a reusable container to help avoid washing excess glassware. 7. Wash in cold water: Not only does cold water prolong the lifespan of dark clothing, it eliminates the energy required to heat it and uses less water in the process. There are even special cold water detergents on the market now. 8. Install hands-free sensor faucets: The automatic faucets often seen in public restrooms that turn on when they sense your hands and off when they don’t are available for residential use and are becoming more and more common. Some turn on and off when you touch them. We have one in our kitchen and use much less water because it’s faster to touch the actual faucet than reach over to the lever (really, it’s true). 9. Check and fix leaking faucets: It doesn’t seem like it would add up to much but one drip every second adds up to about five gallons of water per day. Multiply that out over the course of a month and that’s 150 gallons of wasted water. 10. Wash hands wisely: Turn off the water while you lather your hands up with soap. 11. Full loads only in dishwasher: While the dishwasher typically uses less water than hand-washing (if you’re going to hand wash, plug the sink versus letting water run), try to run only full loads. 12. Insulate water pipes: If your water pipes are properly insulated (it can wear off over time) it will take less time for hot water to reach your shower, translating into less water going down the drain (though hopefully, you’re using the bucket method above). 13. Collect water while washing produce: Rather than run the faucet, use a pot or bowl to soak dirt off fruit, vegetables and other food. Dump the remaining water in container plants. 14. Compost: Not only is compost a valued nutrient in the yard, it actually saves water, too, because you’re putting scraps into an outdoor bin versus down the garbage disposal, which requires water. 15. Fix Drip: Part of the mandatory water restrictions in San Diego County mandate that any irrigation leak needs to be fixed within 72 hours. Drip irrigation needs constant monitoring as the pieces can come loose, so you may have leaks without knowing it. If you have a surprising amount of leaks, check to make sure your system’s pressure regulator is functioning properly. 16. 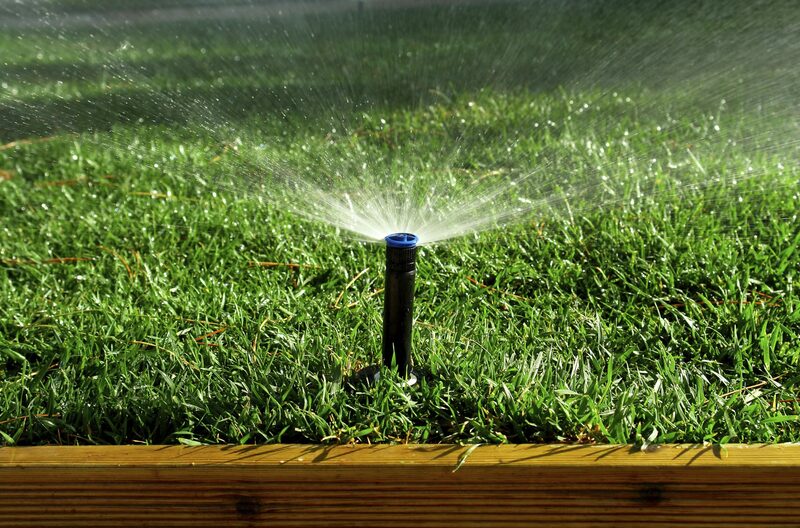 Check rebates: The city is offering a number of rebates for drip irrigation and lawn replacement at the moment. 17. Use recycled water in fountains and other water features: A recirculating pump can keep the water from becoming stagnant. 18. Use a hose nozzle: Nozzles that regulate the amount of water released from the hose prevent unnecessary usage and can accurately direct the water to where you need it better than a hose alone can. 19. Replace leaking hoses: Speaking of hoses, if they don’t attach to your spigot well or are kinked and leaking, buy a new one. 20. Mulch: Make sure garden beds contain an adequate level of mulch to hold in water and shield plant roots from temperature changes. 21. Utilize rain barrels: Redirect rainwater from your roof (that would otherwise enter stormwater drains) into rain barrels for future usage around the yard. 22. Water in optimal weather: Not only is it important to remember to turn off irrigation when it rains, but also remember to turn it off when it’s windy enough to blow water around. 23. Incorporate native plants and succulents: We’ve gone over this multiple times for a good reason. Native plants are acclimated to Southern California and therefore require less maintenance and water. Succulents are some of the most drought-tolerant plants around because they retain water in their leaves. 24. Xeriscaping: While it doesn’t necessarily require the use of native plants, xeriscaping also involves using plants with higher water needs in naturally-damp parts of the yard while taking advantage of how rain water puddles. 25. Use artificial turf: Requiring zero water, artificial turf is a very popular choice for those seeking low maintenance and/or eco-friendly alternatives to grass. 26. Paint your lawn: This sounds ridiculous but lawn paint can last months, some homeowners like the look and it requires zero water. We prefer artificial turf or a natural water-wise landscape. 27. Replace some lawn: If the thought of ditching the entire lawn is too daunting, consider starting with that strip of grass between the street and sidewalk. A number of homeowners are trading grass here for pavers, a mix of stones and succulents and other attractive options that blend in nicely with existing decor. 28. Deep soak turf lawns: Instead of watering for 10 minutes, water twice for 5 minutes. This will prevent any run-off and allow the water to soak in more efficiently. 29. Aerate: Holes every six inches allow water to reach the roots more effectively. 30. Don’t cut the grass so short: Let grass reach 3″ tall. Taller blades shade roots and prevent water run-off during irrigation. 31. Leave grass clippings on the lawn: They provide insulation and hold in moisture. 32. Re-purpose pet bowl water: When it gets too gunky for your dog to drink, use it to water your container plants versus dumping it down the sink. 33. Fish emulsion: Have a fish tank? Dump that nutrient rich water on non-edible plants when you clean the tank or bowl. 34. Bathe outdoors: Wash your dog in the garden using organic soap over the lawn or an area in the yard that needs water but won’t be affected by the process. 35. Teach your kids: Kids learn by doing and if they see you implementing the tips above, they are likely to follow suit. A number of resources from coloring sheets to trivia exist online that can drive home the importance of saving water. Did you know that some experts believe California would be what is considered a megadrought that could last up to a century. What simple tips for conserving water do you have to share? Top photo is courtesy of Armstrong Gardens.